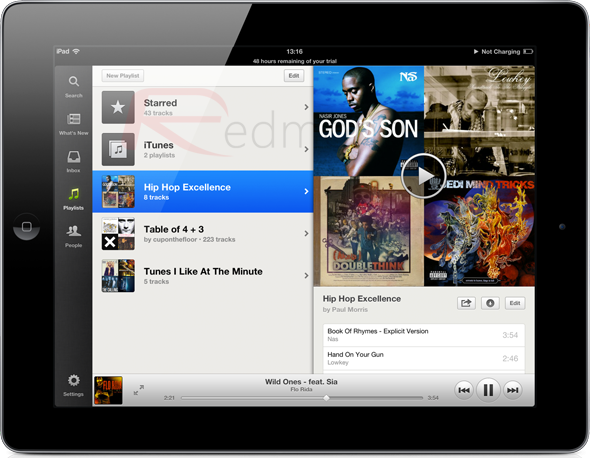 After months of waiting and frantically sweeping through the App Store, loyal users of the Spotify music service can now treat themselves to the official free-of-charge app on their beloved Apple tablet, the iPad. A lot of users have been left perplexed about Spotify’s big delay in pushing out an iPad version of their app, but after recently signing a branding partnership with Coca-Cola, the update has finally come through and the Spotify app is now universal. The existing iPhone app has been updated to universally support the iPad – meaning that it is a single download for all iOS devices – with the good news being that it is still free to download, as ever. As per Spotify’s existing subscription rules, members will need to be signed-up to a premium account to be able to make consistent use of the mobile service, although after downloading, we were given a 48-hours trial to run the app through its paces. Immediately after launching the iPad version of the Spotify app, it kind of makes sense why it has taken so long to push this version out to users. The app’s splash and login screen features a beautiful and vivid Spotify logo with a scrolling wall of album covers transitioning in and out of view in the background. Immediately after logging in, the interface is crammed with information and different options, but manages to remain usable and intuitive with the major sections being listed in a side bar docked on the left hand side. Seamless integration with built-up playlists is also embedded within the app, as you might expect, along with a playback media bar that isn’t a million miles away from Apple’s own iPad offering within their native Music app. For me, the real power of the Spotify iPad app lies in the What’s New section, with trending playlists and recommended music playing at center stage built around a Cover Flow-type interface. 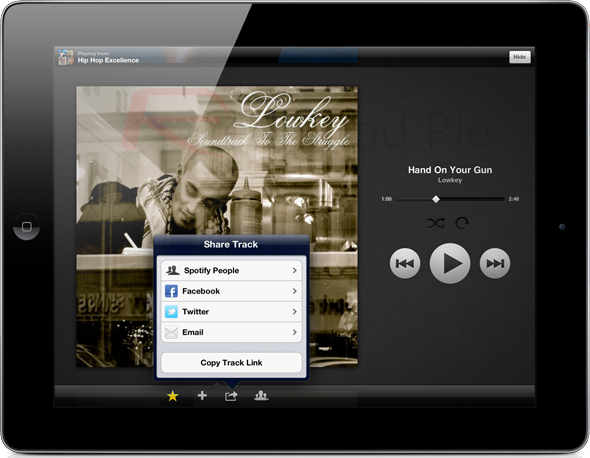 If the docked media bar is not enough, the playing track or playlist can be viewed in full-screen, with links for users to share the track via Facebook, Twitter or through email, as well as the ability to send the music to compatible media devices using Apple’s AirPlay service. 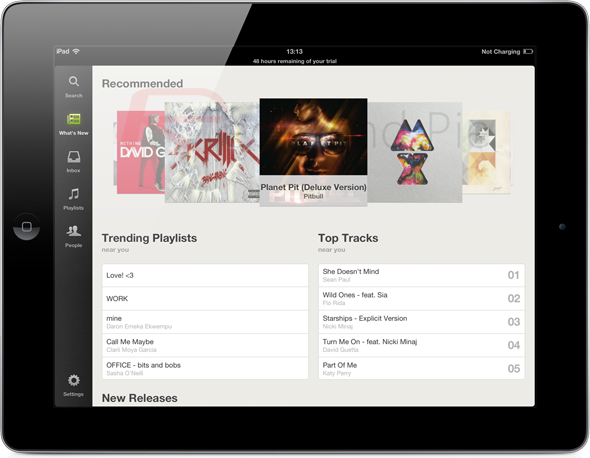 Although it took a long time to hit the iPad, the Spotify iPad app certainly delivers and lives up to expectations with a beautiful Retina-ready user interface with seamless music playback.